Northern Indiana has a wonderful USTA supporter in Alexa VanOsdol of Fort Wayne, Indiana. Alexa has a true love for tennis, and she brings her enthusiasm to the courts and all aspects of the game! She was a competitive junior player and continues to help others compete at the level that is right for them. She is currently a teaching pro in Fort Wayne where she resides with her husband and their 15-month old son. Alexa was instrumental several years ago bringing USTA Jr. 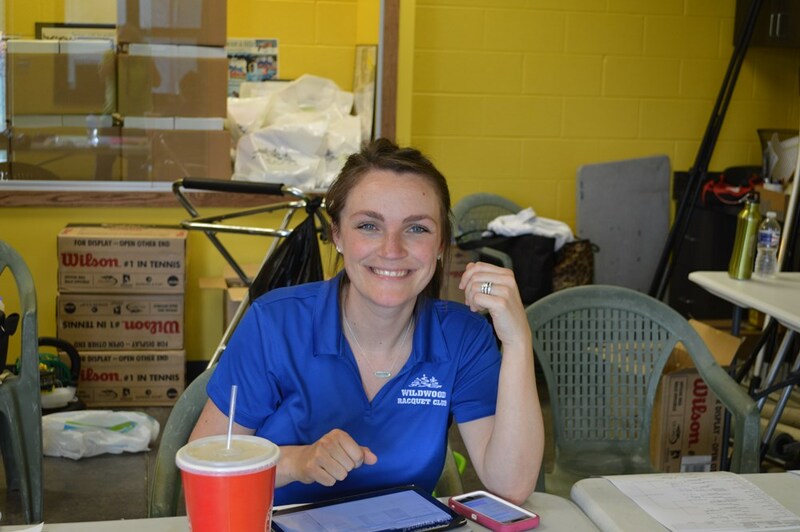 Team Tennis to the Fort Wayne area, and she continues to organize and coordinate both advancing and non-advancing leagues as the Fort Wayne area coordinator for USTA Jr. Team Tennis. The JTT program have grown from a single season to both fall and winter seasons and encompasses the 10 and Under junior team tennis programs in addition to 12’s, 14’s, and 18 and Under leagues for intermediate and advanced players. She has also helped the local team coaches with the organization details in preparation for advancing to district and section playoffs. Having Alexa helping in this capacity has helped the junior team tennis program soar in Fort Wayne! Alexa also serves as a USTA League program contact person at Wildwood Racquet Club in Fort Wayne. She encourages and helps facilitate adult players into many of the different leagues being offered year-round in Fort Wayne. She readily helps with many of the details and questions concerning adult leagues. The most recent project for Alexa has been organizing and creating tournaments for the 10 and Under players. Already this year there have been many orange ball and green dot tournaments in Fort Wayne. This has been most helpful for everyone—players, parents, and the district; and Alexa has been a huge part in that development of the younger players. One of her employers stated that Alexa has incredible enthusiasm for tennis through administering programs. She is organized, pays attention to the details and is responsive to all members and guests. Alexa has evolved into the “go to” person for tennis in Northeast Indiana. Northern Indiana is very grateful for all that Alexa does for USTA. She has taken her love of tennis as a junior player and shared in every avenue that comes her way. She and her husband enjoy adult leagues also. It is a special person that can give back to the sport in so many ways as she does!